You can start training in Säffle Karateklubb two times a year, at the beginning of the spring and fall courses. 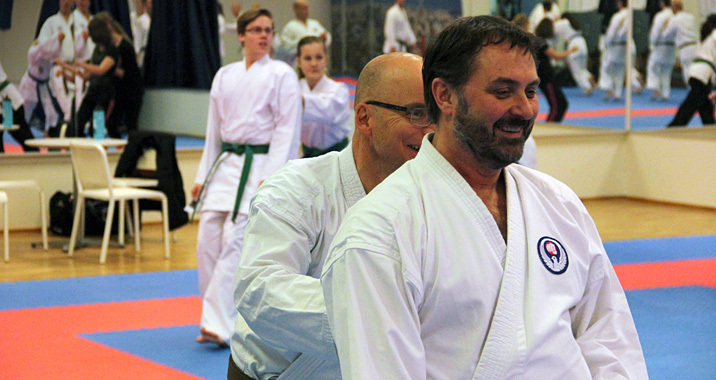 Säffle Karateklubb has been active since 1981 and has now more than 120 members in different ages training. The training is held at our dojo (training hall) in Tegnérhallen, Säffle. It´s always free of charge to try out the training the first times. For clothing you need a pair of regular training pants and a t-shirt. If you decide to become a member, you can buy a karatedress later through the club. We don´t have a age limit for participating except that you have to be old enough to study the first year in school (usually at least 7 years old). Please feel free to contact us if you have any questions. You can use the contact form or phone us at +46 (0)70-344 14 15.